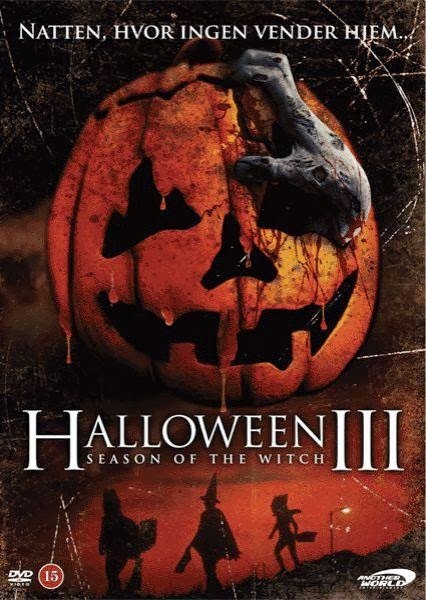 Today’s feature is the seasonal cult classic bad movie, Halloween III: Season Of The Witch. Halloween III was written and directed by Tommy Lee Wallace, who has been behind flicks like It, Fright Night Part II, Amityville II: The Possession, and acted as an editor on the John Carpenter classics The Fog and Halloween. Uncredited screenplay work was also done by John Carpenter and Nigel Kneale (Five Million Years To Earth, Enemy From Space) over the course of a number of re-writes. The cinematographer for the film was Dean Cundey, who shot such flicks as Escape From New York, The Fog, Halloween, Flubber, Big Trouble In Little China, Back To The Future, Road House, Hook, and Jurassic Park. The editor for Halloween III was Millie Moore, who spent most of her career working on television movies, with the exception of 1971’s Johnny Got His Gun, which was written and directed by Dalton Trumbo. The music for the film was provided by the duo of John Carpenter (Halloween, The Fog, Vampires, Assault on Precinct 13) and Alan Howarth (The Omega Code, The Dentist, The Dentist 2, They Live, Escape From New York). The team of producers for Halloween III included original Halloween creator John Carpenter, Debra Hill (Crazy In Alabama, The Dead Zone), Joseph Wolf (A Nightmare On Elm Street), Irwin Yablans (Arena, Men At Work), and Barry Bernardi (Pixels, Cabin Boy, Paul Blart: Mall Cop, The Devil’s Advocate). The group of effects workers on the movie included Thomas R. Burman (Frogs, Howard The Duck, Hudson Hawk, Suspect Zero), John Wash (Timecop, Demolition Man), Sam Nicholson (Highlander II, The Running Man), Jon Belyeu (The Dead Zone, Jingle All The Way, Tango & Cash), William Aldridge (Class of 1999, Die Hard, Road House, Showgirls), and Ron Walters (The Breakfast Club, Police Squad!). The cast of Halloween III includes Tom Atkins (The Fog, Maniac Cop, Lethal Weapon, Night of the Creeps), Stacey Nelkin (Bullets Over Broadway), Dan O’Herlihy (RoboCop, Twin Peaks), Michael Currie (Sudden Impact, The Dead Pool), and Ralph Strait (The Beastmaster). The plot of Halloween III follows an impromptu investigation into the brutal murder of an old man, which leads his daughter and a local doctor into a rabbit’s hole of mysticism and evil. Eventually, their efforts unveil a sacrificial plot that could threaten countless lives. Halloween III is best remembered as the only entry in the franchise to not feature the iconic masked killer, Michael Myers. The plan was initially to turn Halloween into an anthology series, with few (if any) recurring characters between the films. This idea was axed after the negative response to Michael Myers’s absence from Halloween III, and Halloween IV was thus subtitled The Return of Michael Myers. The children’s masks that feature prominently in the plot of Halloween III were actually produced and distributed as part of the marketing of the film, and can be still found with a little bit of hunting online. 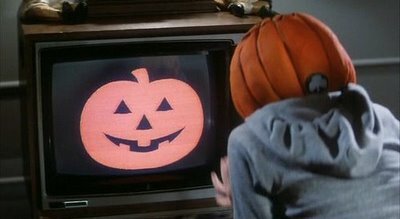 The infamous jingle that recurs throughout Halloween III uses the tune of “London Bridge Is Falling Down”, specifically because it was both catchy and available in the public domain. 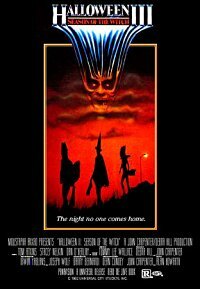 Joe Dante, who is best known for movies like Gremlins, Small Soldiers, and The Howling, was at one point attached to direct Halloween III, but ultimately moved on to a different project before filming began. Halloween III was made on a production budget of $2.5 million, on which it grossed $14.4 million in its lifetime theatrical run. While this was ultimately profitable, it failed to come anywhere near the lofty expectations of the franchise, and is popularly regarded as a failure. The reception to Halloween III at the time was overwhelmingly negative, primarily due to the absence of iconic franchise face Michael Myers. Currently, it holds a 4.5 rating on IMDb, along with Rotten Tomatoes scores of 33% from critics and 24% from audiences. However, the movie has grown a significant cult following over the years as a good-bad movie, and is fondly regarded by a vocal subsection of horror fans. For all of the criticisms that have been leveled at Halloween III, the movie definitely deserves full points for originality. This film is not a cut and paste slasher movie by any stretch of the imagination, which is more than can be said for most of the other Halloween sequels. The plot is beyond outlandish, but there are certainly no other movies like it. More important than sheer originality, Halloween III is as entertaining as it is bizarre, particularly as the film comes to a close. Even though the plan doesn’t make much sense when you scrutinize it, the plot is certainly fun to watch unfold. After all, this movie has the rare distinction of not only allowing the bad guys to (more or less) win, but it also implies the mass deaths of countless children, which is nothing if not bold. Overall, I consider Halloween III to be a prime example of a good-bad movie. The plot is unparalleled, the acting (particularly from Atkins) is delightful, the deaths are both brutal and excessively campy, and the music makes you want your head to explode in the best possible way. If you haven’t seen this film yet, it is a necessity of the season for both horror fans and bad movie fans alike. 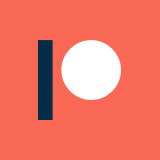 As an added bonus, I highly recommend the coverage of the film by both We Hate Movies and The Cinema Snob if you are looking for additional opinions on the movie.